Now that the Cottage is finished, we have turned our energy toward remodeling the school. We have been working on laying laminate flooring. 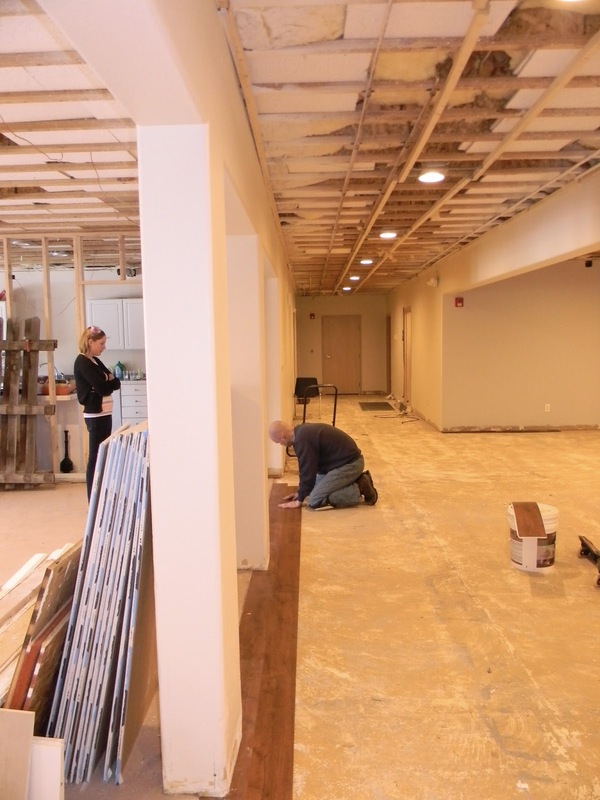 Awhile back, we tore out the ceilings, including the florescent lights. We had canned lights installed. We have repainted most of the main room. We started on January 23rd with a family work day. As of today, almost a month later, we've finished just about 1/2 of the main room. Thankfully, the floors are easy to install. But the room is HUGE (3,000 sq. ft.), so it's taking forever. Steve has also turned his energy toward the Den and the Parlor. We found out that our permit will expire May 31st, so that's our goal. If we can reach it, we'll be finished just in time for wedding season! With the bathrooms framed, we need to have the electrician and plumber finish their jobs, then drywall, flooring, paint, and more. 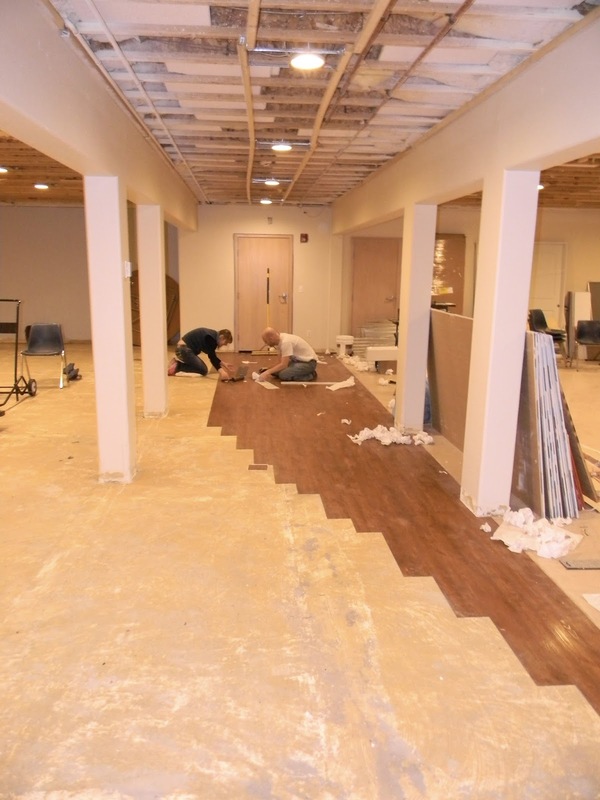 Although this is not a major remodel, there's a lot to be done.